Are you a fan of all things lemon? If you are, then you totally need this dreamy concoction in your life! 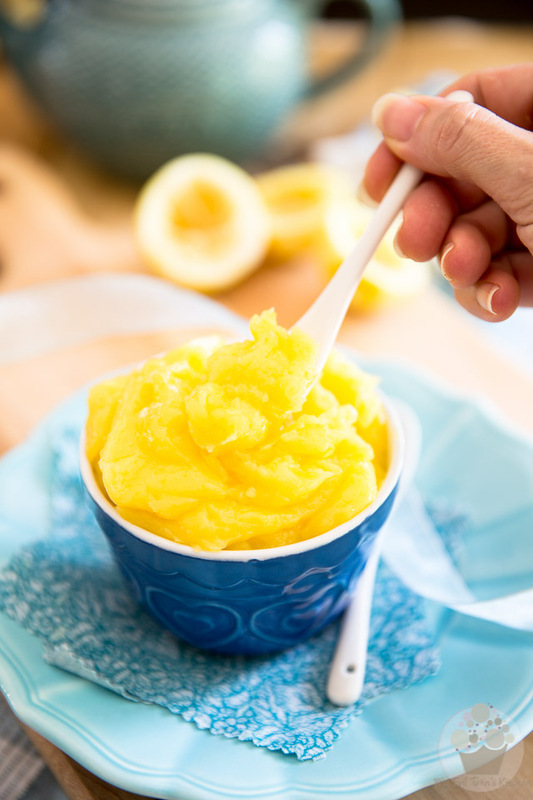 This rich, thick and buttery Lemon Curd is simply heavenly. It’s basically a super luscious, silky and crazy intense lemony spread that’s delicious eaten straight out of the jar, but that you’ll probably want to spread on thick over your morning pancakes, scones, biscuits, pound cakes or muffins, or even use it as base in your favorite lemony recipes. 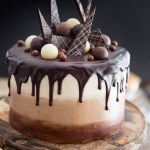 For instance, it’s absolutely wonderful as a cupcake filler, or used in lieu of buttercream between layers in layered cakes… It makes for an amazing cake topper, too! 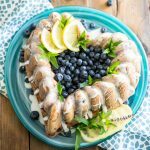 You could even whisk some of this delicacy right into your favorite buttercream to instantly turn it into a delicious lemony buttercream! It would also make for an amazing pie filling! Think super cute little lemon tartelettes, topped with a light and fluffy, perfectly white meringue. Oh! 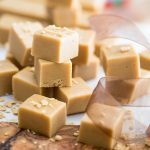 I’m so wanting to whip up a batch of those now. I’m afraid I’ll have to prepare more or the lemon curd if I’m gonna do that, though, cuz this batch right here has already been put to good use. 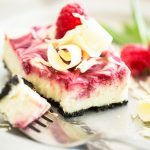 Indeed, I used it to put together this amazingly decadent White Chocolate Lemon Curd Cheesecake… That turned out to be one of the best cheesecakes I’ve had in my entire life, no word of a lie! 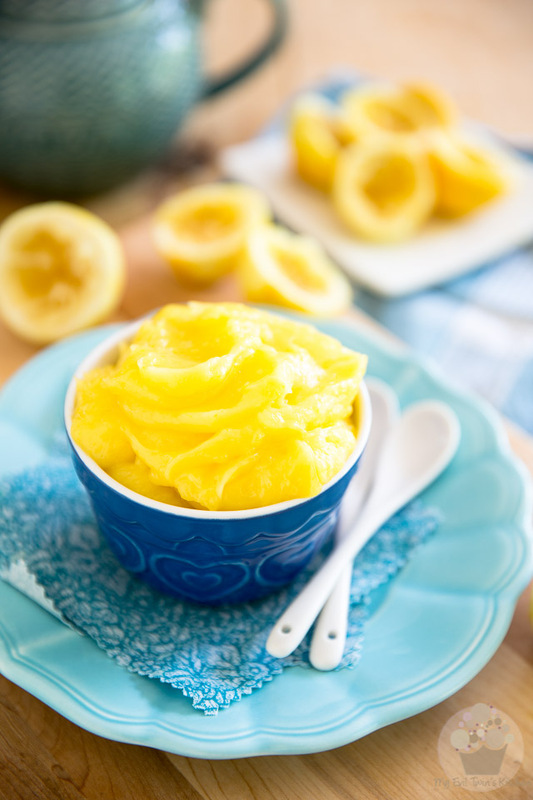 Whatever you decide to use it for, I’ve no doubt that once you’ve made this Lemon Curd once, you’ll want to make it over and over again… if only to eat it by the spoonful! First, you’ll need to zest and press some lemons… A whole bunch of lemons! Once you’ve collected the required amount of juice, place it in a medium saucepan, along with the lemon zest, water and lemon extract; slowly bring that to the boil over medium heat. 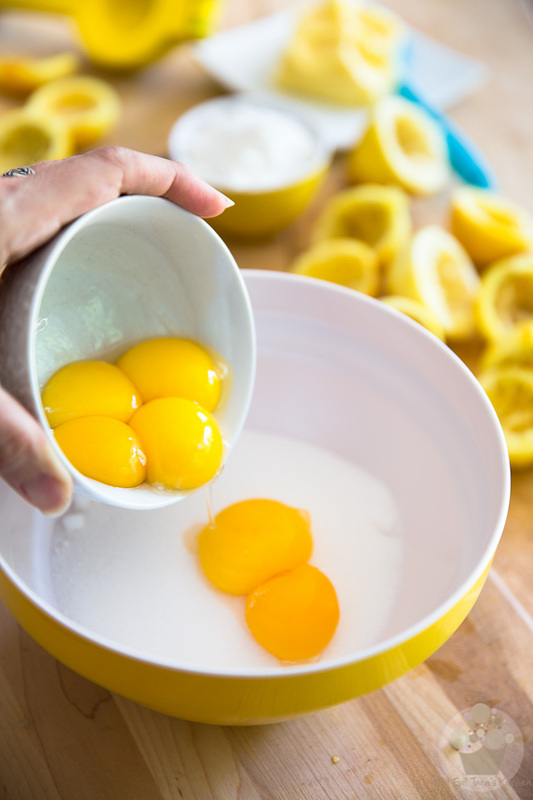 While that’s happening, combine the egg yolks and sugar in a mixing bowl. 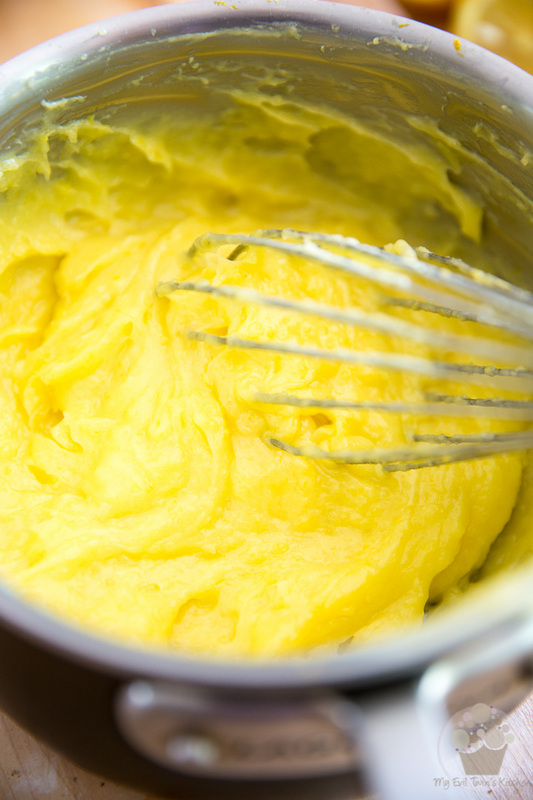 Without delay, whisk the eggs and sugar vigorously until the mixture turns a light shade of yellow and becomes nice and thick, about 2 minutes. Just as a side note here, you should never allow egg yolks to sit with sugar for too long — this would result in the sugar drawing the moisture out of the yolks, causing them to actually cook on you… This doesn’t happen like immediately, but fairly quickly still. 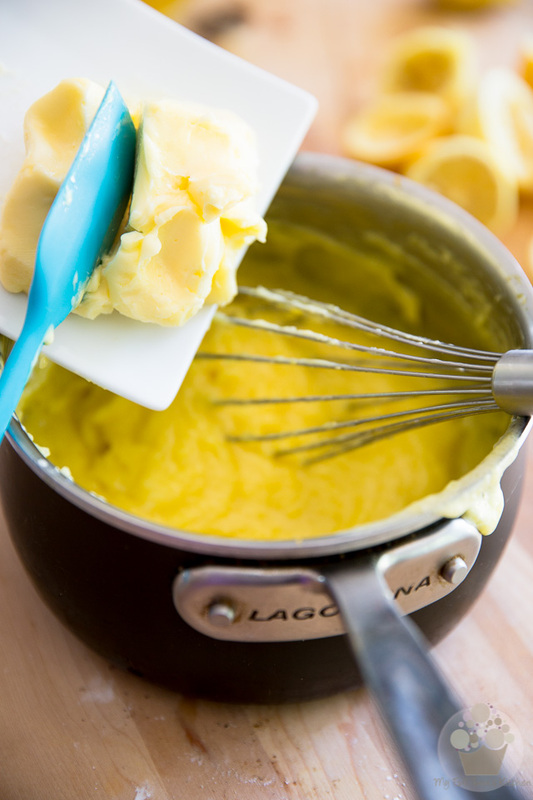 Always play it safe: as soon as the yolks and the sugar get together, start whisking! Add the corn starch to the egg and sugar mixture and delicately mix it in. When it’s completely incorporated, the mixture will be really thick. That’s completely normal! 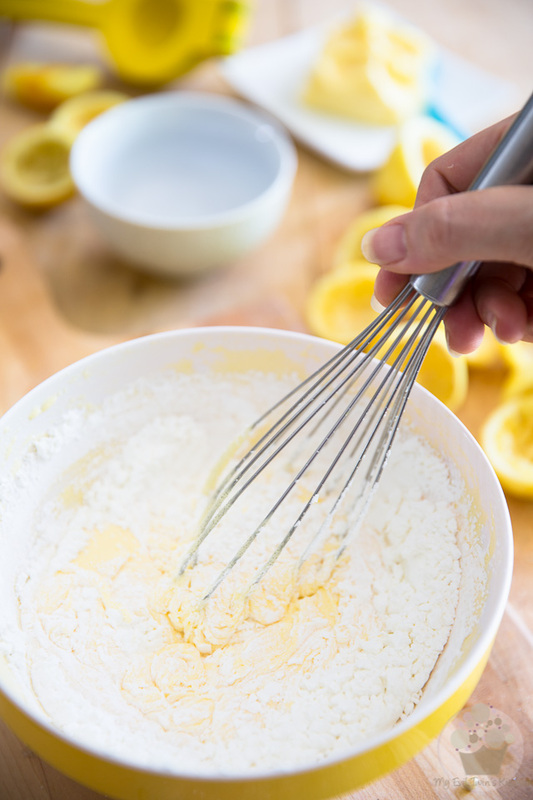 Now delicately pour half of the boiling lemon juice into the egg mixture and quickly whisk it in, then add the other half and whisk until well combined. Once all the lemon juice has been added to the eggs, pour everything back into the saucepan. Place the pan back over medium heat and start whisking CONTINUOUSLY! 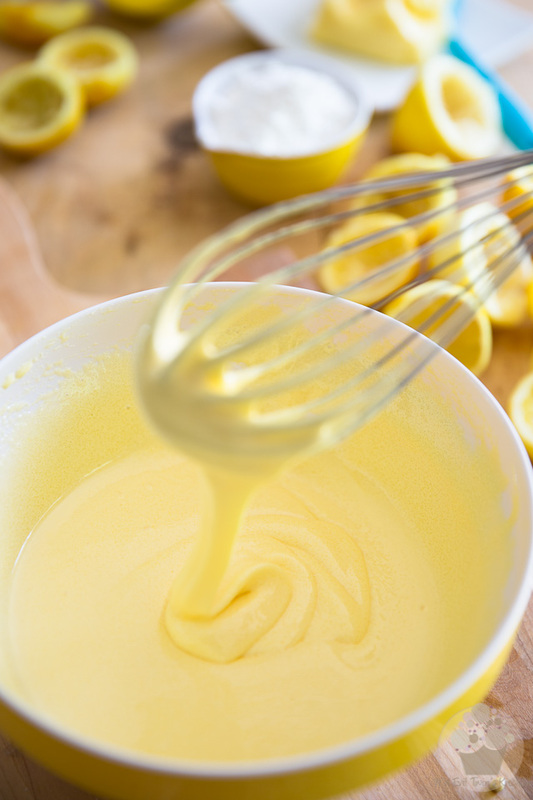 Don’t stop whisking until the lemon cream comes to a full boil and the curd thickens and turns a beautiful vibrant yellow. You’ll see that the change takes a while to happen, but when it does happen, it happens FAST! So really, don’t stop whisking, ever. And resist the urge to crank up the heat to speed things up, too. 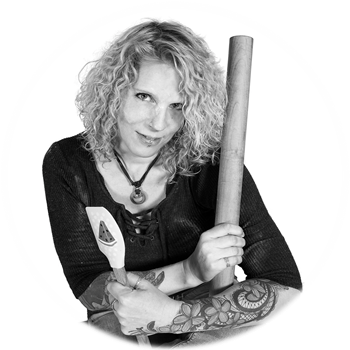 You’d only end up burning your curd, or causing the eggs to scramble on you. 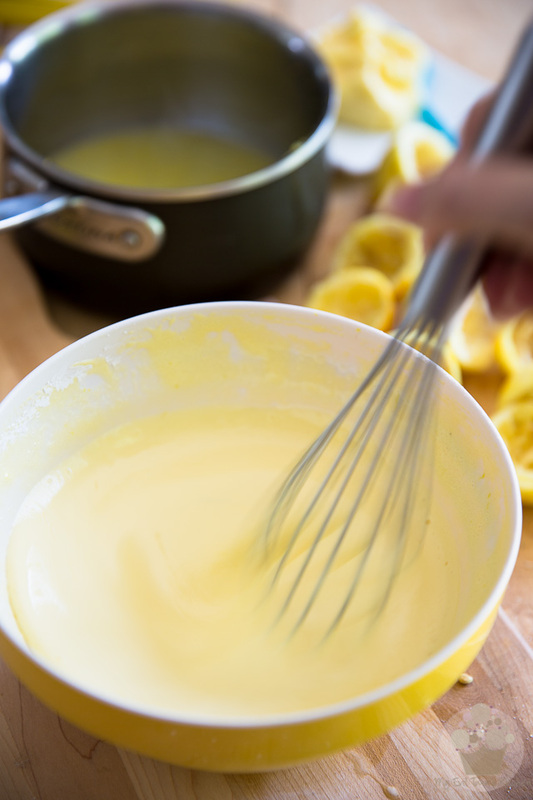 As soon as the curd becomes thick and bright yellow, remove the pan from the heat source and whisk in the butter, about a third a time, until the lemon curd becomes smooth and creamy. Does that look amazing or what? Wait ’til you get to smell it! Personally, I think it’s good enough to be eaten by the spoonful, just like that! 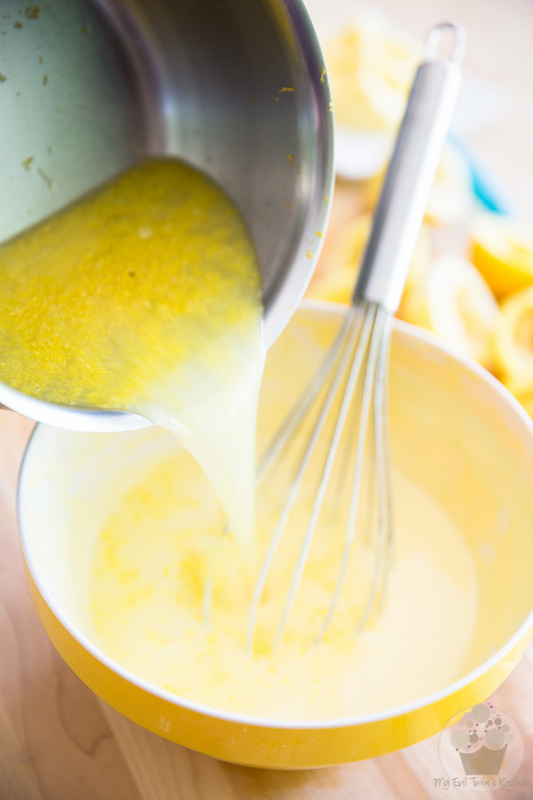 Combine the lemon juice, lemon zest, water and lemon extract in a medium saucepan and slowly bring to the boil. Meanwhile, combine the egg yolks and sugar in a mixing bowl. 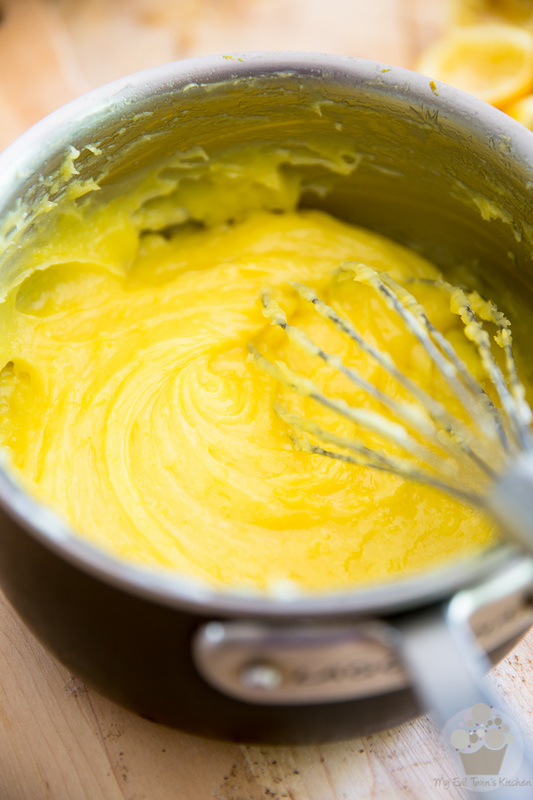 Whisk vigorously until the mixture turns a light shade of yellow and becomes nice and thick, about 2 minutes. Add the corn starch and resume whisking until it's completely incorporated. 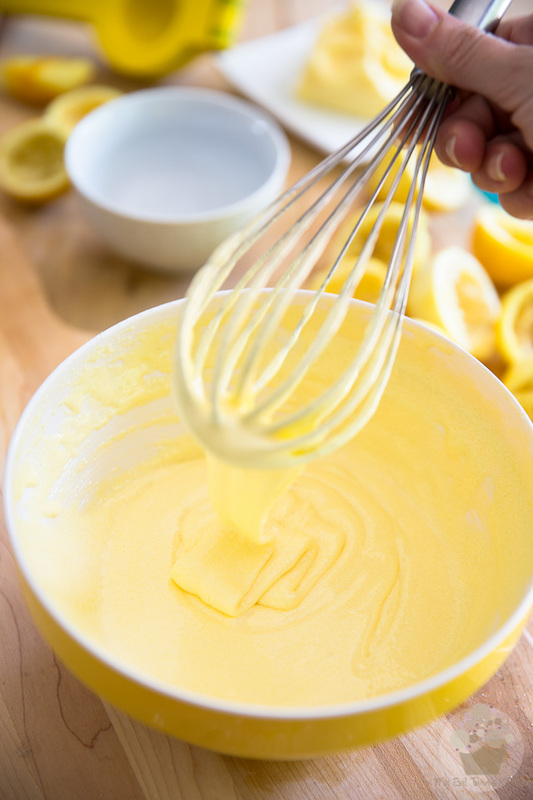 Delicately pour half of the boiling lemon juice into the egg mixture and quickly whisk it in, then add the other half and whisk until well combined. Make sure that you start whisking as soon as the juice comes in contact with the eggs, to prevent them from cooking and scrambling. Once all the lemon juice has been added to the eggs, pour everything back into the saucepan. 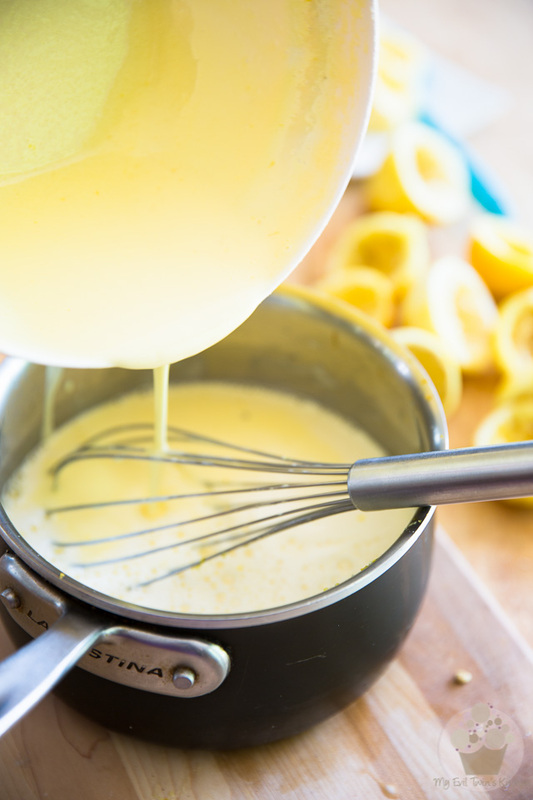 Place the pan back over medium heat and whisk CONTINUOUSLY until the lemon cream comes to a full boil and the curd thickens and turns a vibrant yellow. 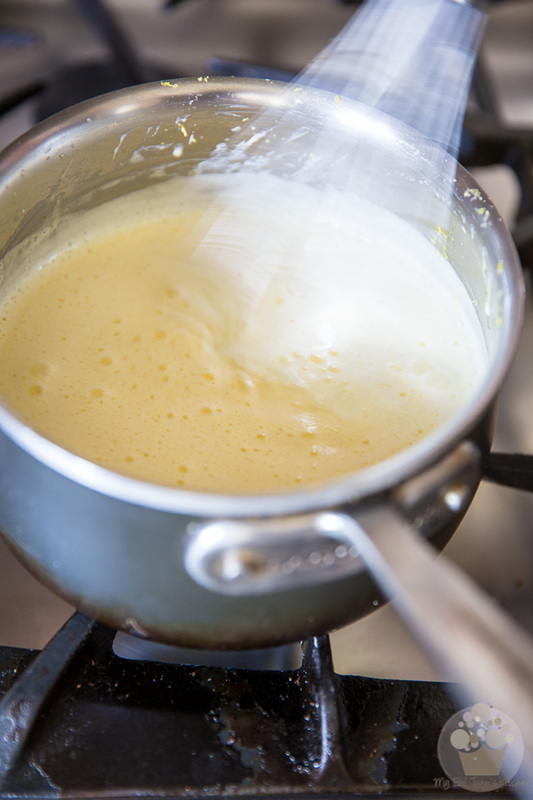 Remove the pan from heat and whisk in the butter, about a third a time, until smooth and creamy. Transfer to a clean container, cover and cool or refrigerate.